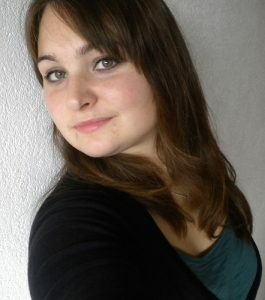 Maybe your are wondering who I am, the creator of this website… Well I’m Linda and I live in Groningen, the Netherlands. I really love insects and continue to be fascinated by their lives and shapes each day. Because I want to share this interest with the rest of the world I made this website. I finished my master Biology at the University of Groningen in july 2012. I specialized mainly on genetics and evolution. My interests are in entomology (hence this website) but also genetics of rodents and control of mites (acari). Currently I am self-employed, working as a webdesigner and freelance research assistant at the university. I keep and breed praying mantids, stick insects and cockroaches. If have kept them in the last three houses I lived in; sometimes I had only one room (student room) so I had them in my bedroom, in other houses they could be in a study room. One day I hope to have a dedicated bug room. All species that can be seen on this website I have kept myself. All pictures are of my own animals. Sometimes friends or fellow biology students have made the pictures and other times I made them myself using a small digital camera and later a mirror reflex camera. It can be tricky to make nice pictures of these insects, but I think I did a pretty good job. I wish I could make pictures of more species, but I only want to do that if I actually have the species myself. At the moment I don’t have the space or time to get more species. Contact me at the contact page. Copyright © 2019 Keeping Insects All Rights Reserved.